Helps to revitalise all soils. Contains liquid compost to improve the soil structure and soil moisture retention. 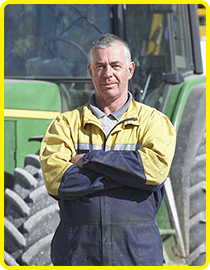 Helps improve worm and microbial activity. Contains seaweed, fish & nutrients to help boost root growth to protect and improve soil. 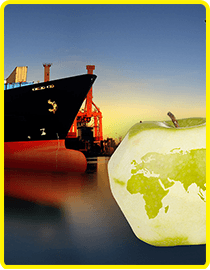 Contains Seasol which promotes strong healthy growth and overall plant health. 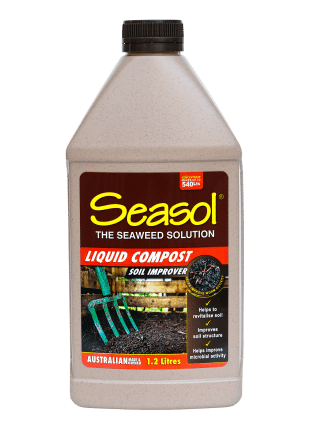 Seasol Liquid Compost contains highly active liquid compost, seaweed, fish & nutrients to help revitalise all soils. It is an easy to use, no dig solution which goes to work immediately on any soil type. The highly active liquid compost helps to condition the soil to promote improved soil structure and soil moisture retention. It also breaks up clay and reduces nutrient loss in sandy soil. 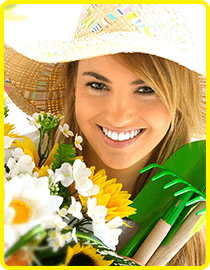 Added Seasol provides a tonic and health treatment for every plant in your garden. Mix 50 mL of Seasol Liquid Compost with 9 litres of water and apply it every 3 to 6 months. 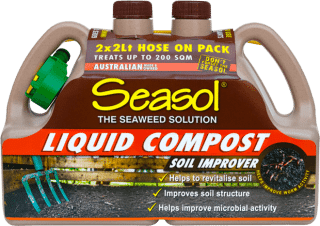 For extremely poor soils mix 100 mL of Seasol Liquid Compost with 9 litres of water and apply it every 2 weeks until the soil improves. Due to the natural ingredients in the product, please avoid contact with porous surfaces. If contact is made, please wash off with water. Not to be taken. Keep out of Reach of Children. NOT TO BE TAKEN. May irritate skin and eyes. Wash hands after use. As with all plant treatments, wash edible plants before eating. Use within 24 hours of mixing.